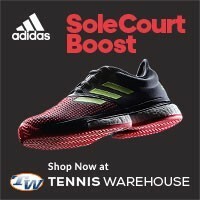 How many times have you forgotten the score of a tennis match? How many times have you been receiving and you don’t know what the score was? If you’re like me, you don’t play professional tennis and you likely don’t have a gigantic scoreboard that always shows the score. Thankfully, there is a neat tennis gadget called ScoreBand that makes remembering the score a breeze. ScoreBand is the world’s first multi-sport score keeping wristband watch. It has 4 different modes: Time, AllScore, Golf, and Tennis. 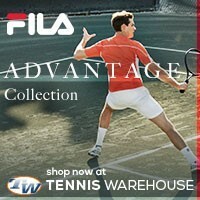 The Tennis mode keeps game and set score. ScoreBand is a comfortable and lightweight wristband that sits on your wrist and with just a simple click of a button it helps eliminate score confusion, allowing players to concentrate on their game. Not only is it easy to use, it is infused with negative ion emitting material and an LCD display component capable of quickly and easily managing scores and statistics. 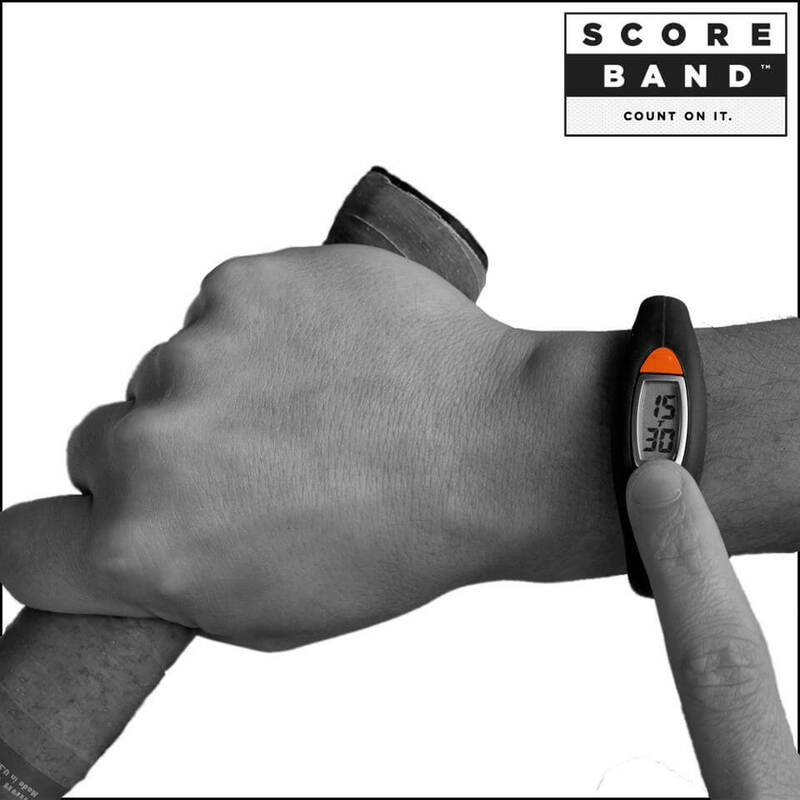 How does the ScoreBand work? There are two buttons, on the instructions it says the top button is for your opponent and the one closest to you is your score. So let’s say that you open up your service game with a double fault (the horror! ), you would then push the top button and the display will show “L- 15” for love-15. If you won the next point, then 15-15 and so on and so forth, you get the idea right? The watch also comes in different color combinations: a white band with pink, grey, green, or orange buttons; as well as a black band with colorful button combinations. Tennis can be stressful and requires nearly 100% of your attention at any given moment, so worrying about what the score is is an added stress no tennis player wants. This is why I like this score-keeping watch, it’s simple. It does not require me to do a lot, one push of a button and the score changes. When the game ends, ScoreBand changes the game score. The watch itself was really quite comfortable, the silicone band wasn’t too bad on my above average hairy arms. Even when I was sweating heavily, the band stayed put and didn’t feel awkward at all. The darn thing was so light it didn’t even feel like I was wearing anything. I can’t really comment on the negative-ion technology, I couldn’t really feel the difference when I wore it and when I didn’t. So, that would be something that you would have to experience yourself to notice a difference. The only thing I didn’t love about the watch was that it does not record sets won. It does keep track of all the games for each player, just not the sets; though not a deal breaker, it would be a nice feature. All in all, it’s a fine product. The watch itself is comfortable, stylish, lightweight, and quite useful. 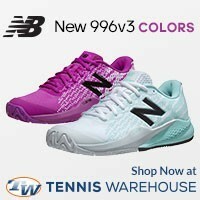 I liked the modern color combinations that are offered. This is the perfect tool for the constant “brain lapser” who can’t remember the score. 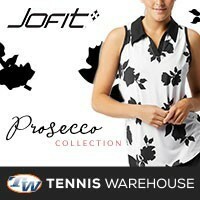 It also makes an ideal stocking stuffer or birthday present for the tennis lover in your life. Get your ScoreBand watch directly at ScoreBand.net!